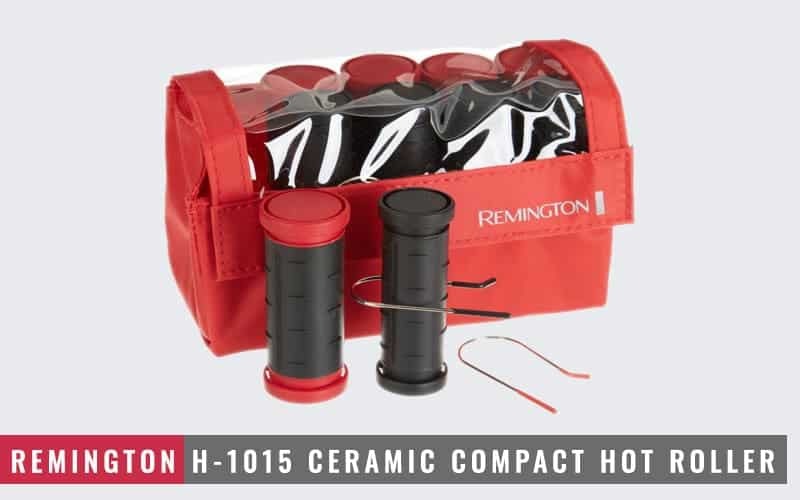 If you are searching for a compact size hot rollers, Remington H-1015 Ceramic Compact, 1-1 1/4 Inch, Red is just for you! It’s nice, light in weight, user-friendly and most of all has all the facilities of a standard Travel Hot Rollers which one is fit for your luggage. Lots of travel size hot rollers are available in the market. They are different in sizes, features, and prices. 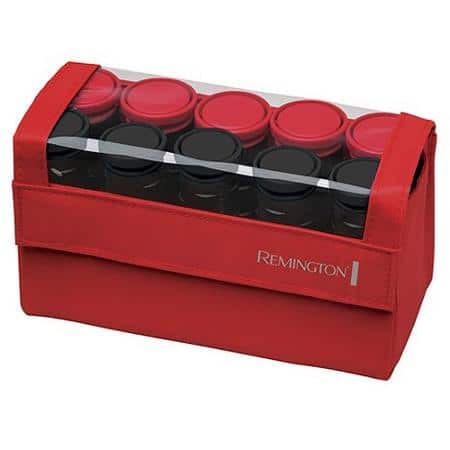 But Remington H-1015 Ceramic Compact, 1-1 1/4 Inch, Red can be your best choice because of its extraordinary qualities. All products have some positive issues and some negative issues. By considering these matters, a user has to pick the right product according to his/her priority. With both positive-negative natures, Remington H-1015 Ceramic Compact has some even different qualities which one is suggested as a compressed size user-friendly Hot Rollers! Why Is It a Good Hot Roller for the Traveler? The heating material is Ceramic which provides even heats. Ionic conditioning if this hot roller set gives naturally healthier looking shine by reducing frizzes. It’s compressed carrying cage makes it a comfy size that it can easily fit in your cabinet, bag, medium size vanity bag, gym bag and so on. 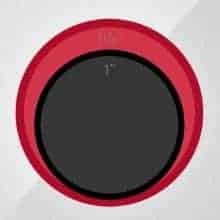 It’s only 10 cm (4.3 inches) in length & weight is only 1 pound! Compact carrying cage is the source of heat supply! There is no extra heating tray for the rollers. One can easily heat all the rollers at the same time on that electric cage. There is a polarized chord with the electric cage which needs to plug into the power supply before heating the rollers. There are two different sized hot rollers, 1 & 1 ¼”. 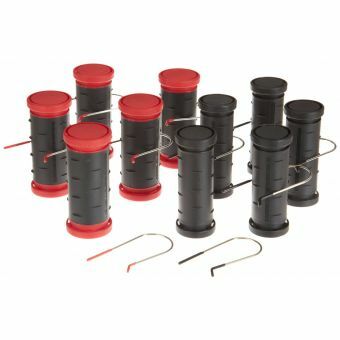 5 rollers (Large) have red circle ends with red ended J clips, and other 5 rollers (medium) have Black circle end with black ended J clips. So it’s helpful for the user to differentiate the rollers size with colors easily. In total, it has 10 rollers with 10 J-clips. All the rollers have cool touch circle ends. So it’s safe for the users not to burn their hands/fingers while touching them after they heated up for rolling hairs. It comes with the information 120-240 (50/60 Hz) multi-volt and a polarized plug, and it converts voltage automatically. Polarized plug keeps you safe from unwanted electric shock. So it is more reliable than the regular plug. This hot roller set comes with specially designed J-clips. Those clips hold rollers without creating dents or creases in your hair. Getting hot before hair rolling, these hot rollers set just need maximum 60 to 90 seconds. If you have thick curly hairs, you can extend the time 2 to 3 minutes, but not more than 5 minutes. The surface area of these hot rollers is so soft that one can easily grip hairs with different thickness of the hairs. So the user should take hair sections according to their hair thickness before hair rolling. This hot roller set has 2-year warranty limits which are quite nice. 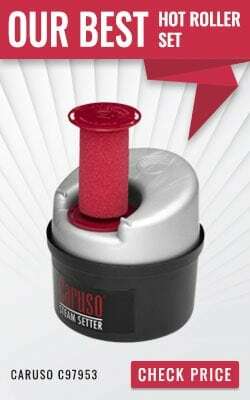 The price of this hot roller is affordable. This model is suitable for medium to long fine and thick hair types. This product comes with multiple voltages & US plug-in system. 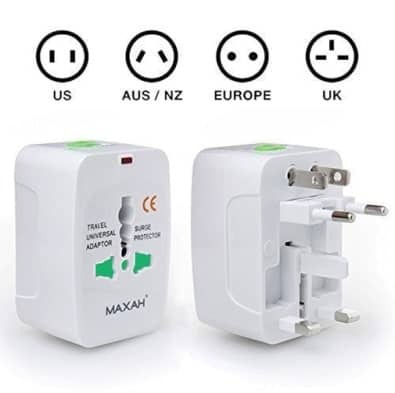 Sometimes this type of plug-in system will not work in some of the countries which are outside of US. So it will be best for you always to carry an adopter if you are using this product in a country which is outside of US. Only black J-clips are tightly attached to the rollers. 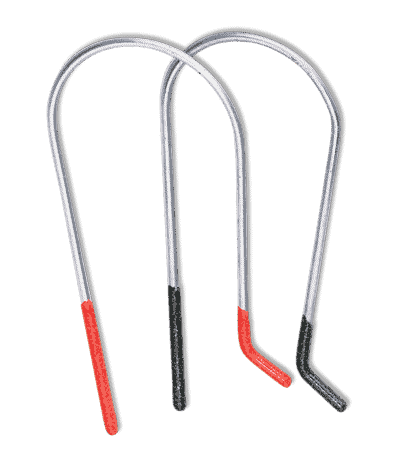 Red clips easily come out and do not stick with the hairs of the rollers properly. There is no automatic temperature switch, no heating switch to control the heat. So for novice users, it’s a little bit difficult to understand how long time they have to heat the rollers. Sometimes ten hot rollers are not sufficient for the user who has very long, thick and volume hairs. Do not use a brush after hair rolling. Set and separate them with your fingers for bouncy curls. If you are searching for regular hot rollers, then you can visit Remington buying guide for other top rated products. Specialty Very compact size light weighted rollers set even frizz free curls within 10 minutes. Product Description: Hot Rollers like Remington H-1015 Ceramic Compact keep the natural moisture or growth and keep them naturally shiny and beautiful most than a curling iron does! Remington H-1015 Ceramic Compact hot roller set needs only 60 to 90 seconds heating time to give you unblemished curls during travel time as well as regular time. 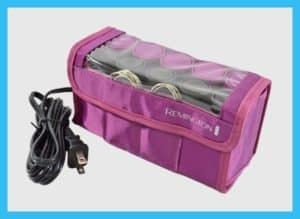 Its multi-volt feature, 10 smooth rollers along with J-clips come in a heat-resistive nice small size bag that can be fitted in any bag, cabinet or gym bag!